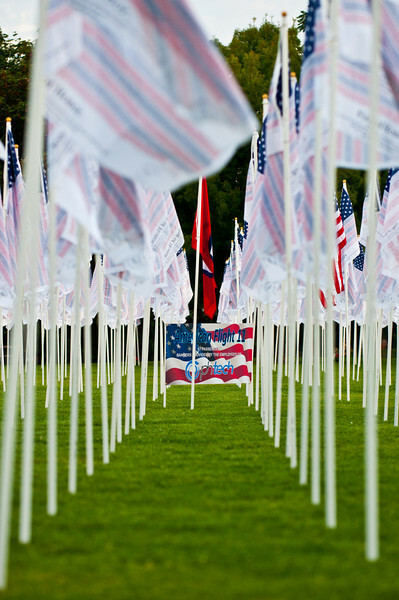 Went down to the Field of Flags 9/11 memorial this morning @ 6:30 am wanted to catch the sunrise. Wow this is amazing at 6:30 I had the place to myself and walking amongst the flags was at times pretty emotional I returned this evening to catch the sunset it was really beautiful to watch. If you haven’t been you really should go and check it out for those who can’t make it, I’m posting a few pictures for you to enjoy. Some are from this morning and others are from this evening I hope it encourages some of you to take a walk amongst the flags in remembrance of the fallen.